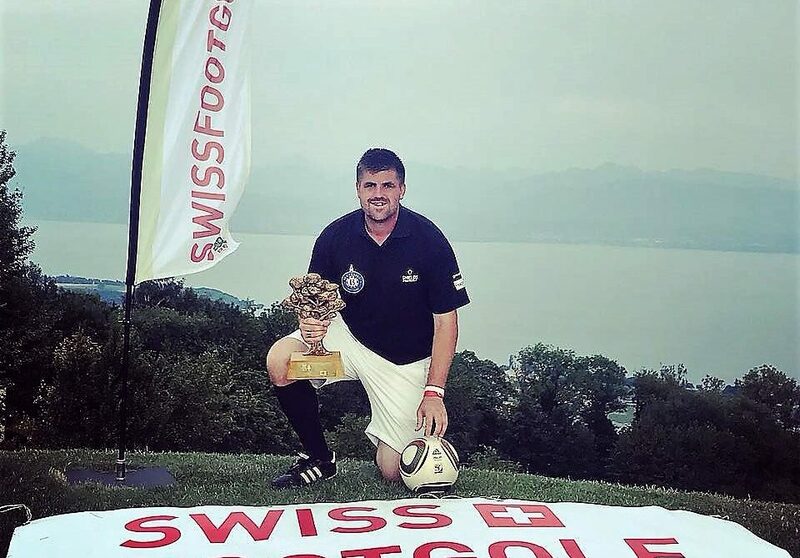 Ben Clarke have won the latest European Footgolf Grand Slam in Switzerland. After finishing first second time in a row, he is so close to finally take home the golden tree, the unique award of The Classic, the Swiss Footgolf Open. Do you prefer to play on the Classic? It is definitely one of my favourite tournaments to play. The course is always in amazing condition and the view surrounded the course makes it such a great course to play. The organisation of the event always seems to be good too with everyone working together to make it perfect. Have you dreamed about retain your title? It was always my aim to win the tournament again, it’s a course I feel confident on. I knew after day one I was in a good position and felt capable of posting a similar score but the players around me were also capable so I knew I had to play well on Sunday. What was the point, you knew it was in the bag? I’m not sure, maybe when I was on the 18th green. I knew I had four-shots lead on the tee before the 18th but I’ve seen the 18th cause some players problems, so I knew I just had to get on the green safely and that should be enough to get the win. What are you doing with so many trees? Some people say I’m making a forest. It’s such a nice trophy, it’s a shame it stays in Switzerland, but I can’t wait to see my name on it again next year when I return. I have been told if I win it for a third time, I get to keep the tree so that has to be the goal now. Is it a boost for the UK Open or you don’t need it to perform better? Yes, it’s a nice boost to remind myself I can win an international tournament so near to the UK Open. It’s a competition I’ve always wanted to win and have come close a couple of times. Hopefully this is the year. No Replies to "Clarke: Hopefully, this the year!"